Back in the 1990s, GM killed the electric car. 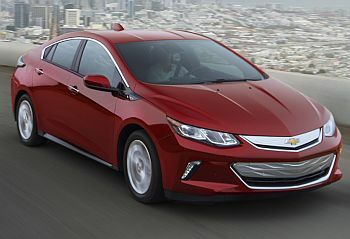 But in 2011, it brought it back again with the Chevy Volt, selling more than 150,000 units over the past seven years, making it one of the best-selling plug-in hybrids on the market. The Volt perhaps doesn’t get enough credit for its political and technological significance. Now, the Volt is sentenced to death in March 2019 as part of GM’s massive restructuring that will cut more than 14,000 salaried staff and factory workers and close seven factories worldwide by the end of next year. In addition to the Volt, the company also plans to jettison the Buick LaCrosse, Chevrolet Impala, and Cadillac CT6 sedans. President Trump lashed out at GM over the closures and threatened to impose new car tariffs on imports from China.